"Reclaiming The Voice Of The People By The People"
CHANGE HAS COME TO RALEIGH!!! "Fellow citizens, friends and valued constituents of the Southeast quadrant of Raleigh, North Carolina; it is with great pride of civil service, humility and since of duty to formally announce my candidacy for Raleigh's City Council--District C's post--as your candidate of change and socially-independent-views." 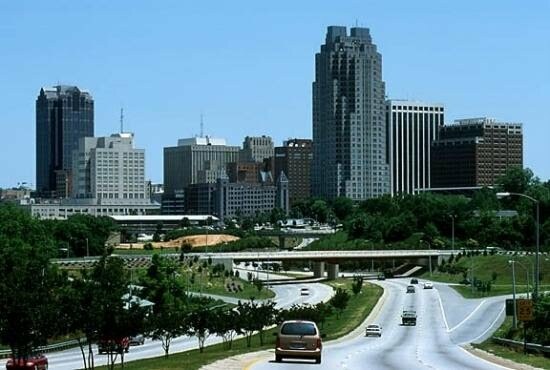 For many years now, issues of neighborhood safety, revitalization, infrastructure, fair housing and equitable distribution of the City of Raleigh's funds has been the table talk for a vast majority of residents and business owners living in and around the Southeast side of the City. Indeed these notable issues are of vital importance to me as your candidate of change, as well as to my constituent base, and should be represented with the utmost due diligence of counsel law and debate. As your potential Representative Elect, I intend to fight for you and to make these central issues, amongst others, priority #1.
axiomatic that this issue regarding the "old-political-guard" establishment's failure to include and/or equip for that matter the younger generation of aspired political leaders to carry on the mantle of leadership is definitely heating up again in the midst of political turmoil here. This time, the question has arisen since the resignation some months ago of 85-year-old Harold Webb from the Wake County Board of Commissioners. James West, who until ten months ago was serving his 11th year on Raleigh City Council, replaced him. West was chosen by Democratic Party leaders in Council District C in Southeast Raleigh, a long-familiar process of succession from within the "Old Guard" of black Raleigh officials. Webb himself was similarly tapped eight years ago when he replaced Vernon Malone following Malone's election to the state Senate. Now the issue is, who will represent the best interest of the deserving people of Southeast Raleigh; the well oiled "old-political-guard" machinery, or an independent thinking "change" candidate who's not imbued with the un-American ideological attitude of entitlement or rite to passage? However, at a recent candidates forum held at Shaw University, and sponsored by the Raleigh Wake Citizens Association (RWCA), Lent Carr, II, 37, and the Democratic base's declared front-runner and "old-guard" favorite, 68 year old Eugene Weeks had an opportunity to share their political views and solutions to a wide variety of issues affecting Southeast residents. Rather than calling for "change", Weeks said, "we need to move forward with the things that are on the table" at council, including the stalled Clarence E. Lightner Public Safety Center proposed for downtown. Albeit, Lent Carr, II, President/CEO of the North Carolina Taxi Workers Alliance (NCTWA), came out swinging hard on the issues that concern the people of Southeast Raleigh. To the applause of his constituent base and supporters, Lent hit hard on crime issues in Southeast Raleigh and called for the city to condemn and get rid of "problem properties" that decreases the value of so many home owners properties residing in District C. However, he cautioned any such usage of the "Imminent Domain" tool available to Council Members in addressing these concerns should be used sparingly for the sole purpose of halting irresponsible investors who buy up these properties and allow such property to just sit and deteriorate to the detriment of other property owners' property value in Southeast Raleigh. Moreover, at the forum Carr made clear to his constituents and the sitting council members for Raleigh's City Council that he was in nowise "no one's yes-man." Meaning--he was willing to collaborate with council should he be elected to office, but will not follow any one or more council's members personal political ideologies on a matter blindingly and without formulating his own rationale and independent opinion to the issue at hand. In other words, Carr put council on notice that (if elected) ultimately his representation and loyalty would be to that of Southeast Raleigh and its plights for Council resolution and to the populous citizenry of the Greater Municipality of our bustling City of Oaks. As remarked by Carr: "this is known as the art of give and take, not the art of give and receive nothing for my base, a common practice that has not got the poor White, African-American and Latino Communities nowhere in recent years." In dealing with Southeast Raleigh's issue of infrastructure, Lent went on to say: "businesses won't come to Southeast Raleigh until residents work with the police to drive out crime and the vicious climate that follows. "We can blame others," he said, but until we deal with that central issue—crime—developers aren't coming." "And vise-versa, the police would need to provide more 'foot-patrol,' nominally known as BEAT COPS than what they're currently willing to allocate therefore." But, however, at the end of the day WE, the citizens of Southeast Raleigh must stand united and declare that WE are taking the reigns of our Community back (with personal responsibility) much like our predecessors did in the 50's and 60's. To do otherwise is to destroy our future prospects for meaningful infrastructure enhancements and thereby will ultimately destroy the future of Southeast Raleigh's youth's growth and stability. Not too long ago, one of our District's most respected business owners said it best:"The fix appears to be in," declared Bruce Lightner, a veteran Southeast Raleigh leader. "Weeks seems to have the nod of the Southeast Raleigh old guard and Coleman's RWCA," he wrote to City Council members. His anti-Weeks e-mail rocketed around the district. Lightner, whose father, Clarence Lightner, was Raleigh's only African-American mayor, said he and Weeks are longtime friends. 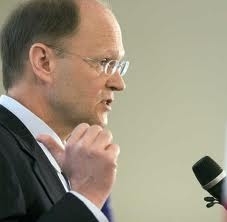 Nonetheless, it's time for younger leadership to have a chance, he said. "I would hope that the powers-that-be will show some courage, intestinal fortitude and vision for the future," Lightner wrote. "Regardless of pronouncements of Black leaders to the desirability and necessity of elevating and supporting a younger generation of new leaders, it seems apparent that such sanctimony rhetoric rings hollow in the face of current realities." As a matter of dire urgency and equitable survival for the deserving people of Southeast Raleigh; WE THE SUPPORTERS of Lent Carr are reaching out to every voter in District C with our "OPERATION EARLY BIRD CAMPAIGN" so as to further galvanize our on ground "grassroots" support. My opponent, and his well oiled "old-guard-base" can and will be defeated this time around, as CHANGE has come to Southeast Raleigh! We will not take no for an answer this time. City Council anointed and selected the Democrat's favored candidate to fill former Councilman James West's seat, on October 5, 2010, outside of the will of the people. But this time around our voices will be heard all the way to City Hall when we Elect Lent Carr to District C's Council Post. The time has come, and the time is now for change in Southeast Raleigh! VOTE LENT CARR, Raleigh's City Council, District C October 11, 2011. Right now, there are potential voters in our area -- folks who support what you and I are fighting for -- who will only vote if you reach out to them in these initial days of campaigning. Maybe they don't know the stakes in this election. Maybe they've heard too many of the lies coming from the other side about what this movement has accomplished and mean. Or maybe they just haven't been paying attention. Whether you contact them today or by Election Day, October 11, 2011 will determine whether they will stay home or proudly cast their votes to Elect our change candidate, Lent Carr. The dynamics of this race is shifting by the day. As a matter of fact, Carr has been the recipient of major political attack leveled against him on a very personal level. Albeit, he is a resilient warrior for social-justice and is thus his resolve to fight until victory has been won. As the pundits has pointed out even before the past November, 2010 mid-term election, a bunch of these races will be super tight on election night October 11, 2011. That's why we need to go all in in lots of Southeast Raleigh's Communities, so if in essence this City Council race with Carr and his opponent(S) becomes a close one, at least it'll go our way. Can you donate $5 to make it possible? Your donations power everything we do. Money you give buys snacks for volunteers -- you'll be feeding someone who just spent six hours working their tail off, knocking on doors. It pays for a radio ad in a key part of Southeast Raleigh, that tells folks how their votes will matter this time around, and inform them of the gravity of this election. Or a rental van to bring seniors to the polls. Or door-hangers that folks will be hanging at six in the morning so busy parents get an extra reminder as they leave for work. Give it a shot. You'll be investing in a movement of thousands of us who -- even when it's really, really hard -- are fighting to bring change to our District. And it feels great. KEEP IT 100 CHRISTIAN TALK SHOW..."What Political Party Represent America's Poor? GOP or DEMS?" KEEP IT 100..."Welcome To The Land of A Second Chance...'THE UNITED STATES OF AMERICA'"
" Lent Carr for Raleigh's City Council 2011!" Citizen's Advocates for Reform & Revitalization C.A.R.R. CLICK TO FILE YOUR CITIZEN COMPLAINT WITH C.A.R.R. Citizen’s Advocates for Reform & Revitalization (C.A.R.R. ), is a volunteer service organization that serves to educate & assist Raleigh area citizens in trying to resolve complaints with local businesses and government entities informally. An experienced volunteer mediator will mediate your complaint through an informal process in an effort to reach a mutually agreeable settlement. C.A.R.R. is NOT A LEGAL ASSISTANCE AGENCY & CAN NOT PROVIDE LEGAL ADVICE OR REPRESENTATION. WE DO NOT HAVE ENFORCEMENT POWERS. HOWEVER, C.A.R.R. DOES HAVE PRO BONO ATTORNEY TEAM AVAILABLE FOR A LIMITED NUMBER OF ITS CLIENT'S CASES THAT MAY REQUIRE JUDICIAL REDRESS. When your completed Complaint Form is received, it will be assigned to a volunteer mediator who will handle your complaint. A letter will be sent to the business requesting that they respond within 14 days. If a reply is not received, the volunteer mediator will attempt additional follow up. You will receive a letter from us indicating your CASE NUMBER, (please keep this case number for future reference when you contact the office) and noting the name of your volunteer mediator and the day he/she volunteers, should you need to speak with them. Please keep your Volunteer Mediator informed of any new developments in your case. Please note that the names of all parties are submitted to the Attorney General's Office so that agency may effectively monitor any emerging patterns relative to your complaint. This is generally performed in consumer complaints. The Attorney General may then be in a position to intervene in those cases that affect a larger segment of the population. If you cannot afford an attorney you may be eligible for assistance through your local Legal Services Office. Thank you for bringing this matter to our attention. We hope we can provide assistance to you. From buying a new car to operating a small business, click on a topic below to learn more about the laws that regulate your commercial transactions. strike next week if the City Council doesn't address concerns related to what drivers are calling "unfriendly cab driver policies." 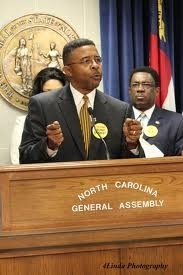 "A strike is very imminent," Lent Carr, president of the North Carolina Taxi Workers Alliance Inc., said Wednesday. The labor union, which represents more than 600 local cab drivers, went before city leaders for a second time on Tuesday with a number of issues. Carr says they are so severe that they need a taxicab commission to address them. "We need resolution now, not tomorrow," Carr said. "If not – we want it clear – we have already started talks of strikes here in Raleigh." The council, he says, has been slow to move on three high-priority issues facing taxi cab drivers. Among them, 42 additional taxi zones from 9 p.m. to 3 a.m. throughout Raleigh. Drivers, like Freddy Jones, the union's vice president, say there are many high-traffic areas, including Glenwood South and Fayetteville Street, with no place for them to safely pull over and pick up fares without being cited by police for blocking traffic. "(These areas are) so backed up on Friday and Saturday nights," Jones said. "It's gridlock all the way up and down the street." Other issues the union wants resolved include an increase in taxi rates and a cap on the number of taxi permits issued. Jones says soaring gas prices are forcing drivers to spend more money and that, for some, it is difficult for them to break even. With more than 1,000 city-issued permits, part-time drivers are also taking away business from full-time drivers. "It is very difficult to make a living, spending an additional $200 a week, since gas prices have increased," Jones said. Raleigh City Manager Russell Allen says the City Council has been deliberate in trying to work through items that protect the public's interest while trying to be cognizant of taxicab drivers. He says city leaders have dealt with every issue related to zones, fees, inspections and city ordinances that have been brought before them. "We looked at the prices and fees recently and did adjust the fees in the last two to three years on the rates," he said. Allen says the union went before the City Council in April asking for additional zones but that there were too many. "We do have a process for looking at zones, and we indicated to them that they really needed to prioritize that list to their top four or five," he said. 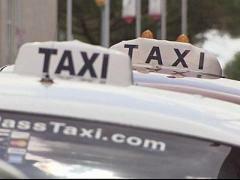 City leaders also recommended that union members also get the support of local businesses where they need taxi stands. "That process ensures (that,) if we're going to create a zone and perhaps take out parking spaces for a taxicab, then the businesses need to be supportive of that," Allen said. 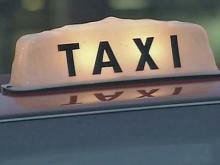 Allen said the city will re-examine rates but that it's unlikely it will consider limiting the number of taxi permits. "I think they're concerned about the number and the competiveness, and I certainly understand that, but I don't know that that is something (the) council would try to intervene with – interfering with the market on how many cab companies could be supported in the market," Allen said, adding that there are no other businesses in the city that have caps. He also doesn't see the need for a special commission. "In my view, there's not enough," Allen said. "It would be very unusual for (the) council to set up a commission just to support issues for just one business," Allen said. The City Council, he says, uses a committee structure for matters that need more attention. The Law and Public Safety Commission, he says, has spent hours on taxicab issues in the past few years. As for a strike, "it doesn't expedite any processes as far as city administration is concerned," Allen said. "I don't think that would change the council's mind about anything they want to do, because they have been very fair and responsive to the cab industry."